Diversion structure of the project has been made on the river Bakhli khad, a left bank tributary of the Beas River joining into the reservoir behind the Pandoh dam. The design energy (78.81MU) of the project is based on the 90% dependable year (1987-88) discharges. As per the notification no. PC-FC(2)-1/2005 dated 09.09.2005 issued by Department of pollution Control, Government of Himachal Pradesh & letter no. EPPCB/Minimum Discharge/2005-12102-69 dated 22.09.2005 issued by department of Himachal Pradesh State Environment Protection and Pollution Control Board regarding the quantum of minimum flow of water to be released & maintained immediately downstream of the project's diversion structures throughout the year should be the threshold value of not less than 15% of the minimum inflow observed in the lean seasons into the main river water body whose water is being harnessed by the project. In accordance with above PPPL is continuously releasing minimum environmental flow of 0.11 cumec down stream of the weir. 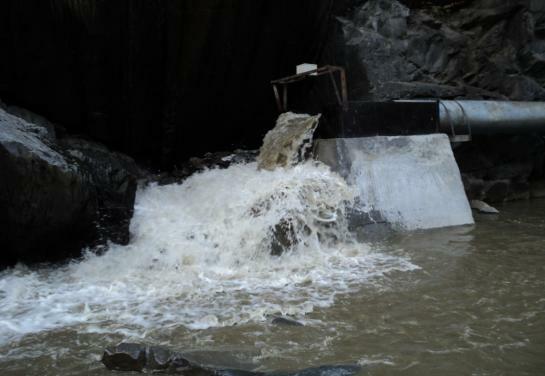 In compliance of the instructions issued by your office regarding the installation of on-line mandatory discharge monitoring equipment at barrage site, PPPL had prepared a scheme/arrangements, which necessitate the construction of V-notch for installation of real time online continuous flow measurement and data logging device for measuring flow downstream of the Patikari diversion structure. An online continuous flow measurement, Microprocessor based open channel flow measuring system has been installed in the V-Notch for the online measurement of environmental flow. 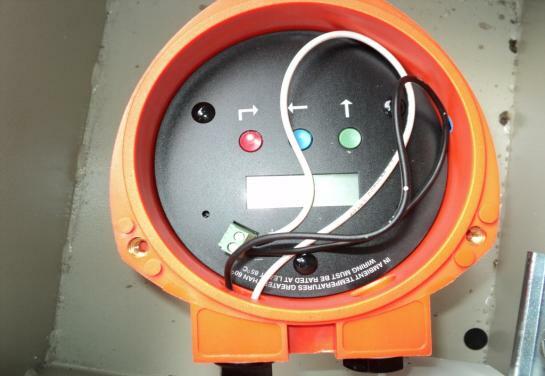 The Online system is measuring the discharge and the records are being stored in the data logger of the device. Photographs of the V-notch arrangement along with installed online measuring system & data logger is shown below.